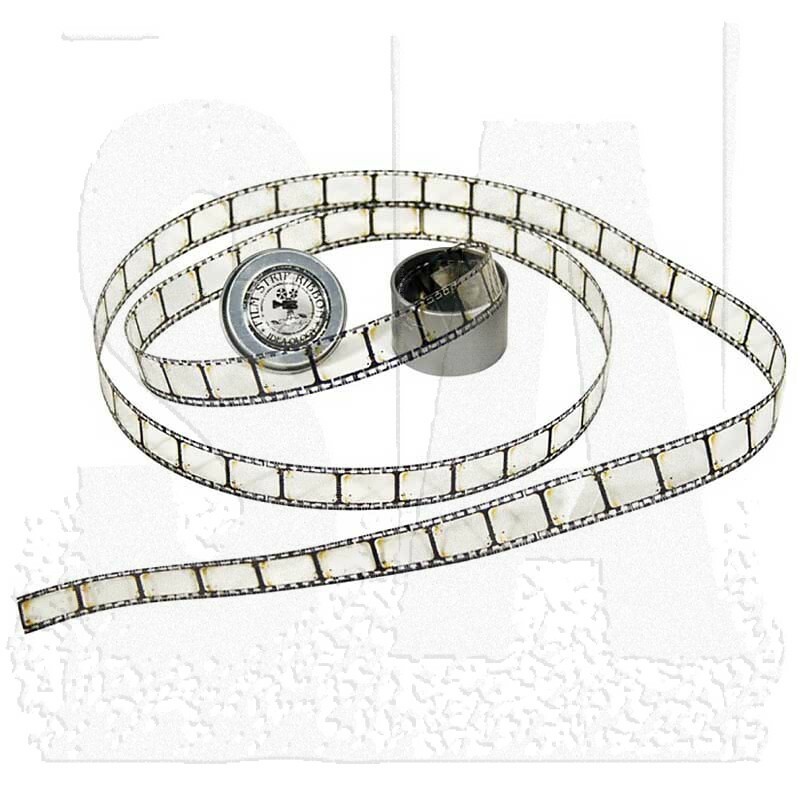 Like it came right out of a vintage projector, this transparent plastic film strip comes distressed and in a storage tin. 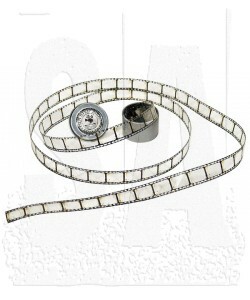 Package contains three yards of film strip ribbon. Ribbon is approximately 5/8â wide.